Discussion in 'Amps and Cabs' started by Sunnyevan, May 6, 2016. Just came across a treasure chest of these from someone, I need to know how to identify it they're the real deal or not. Seems like fakes and replicas have gotten pretty accurate. These are a great deal, would hate to see them go, but I would also hate to get scammed. Guy is wanting $40 a tube, or $900 for approximately 50 tubes. High resolution photos and post over on the Amps-Technical forum here. That said, if you look closely at a real Telefunken tube (or any of the other tubes built by the many Phillips factories across the world) there will be a two line code etched in the glass near the base of the tube. The second line for a Telefunken tube, should start with an upside down "T". Silent Sound, sg~guy, Timbre Wolf and 1 other person like this. Thom when we need him? The NOS Telefunken's are a little greasy and taste like chicken. Hope that clears it up. CarmenC and Sunnyevan like this. They vary. Hopefully you only have tubes that you (CAN) use..
On preamps, if I recall, check for the diamond mark on bottom. On power tubes and rectifiers, not sure. Note the plate shape, and, in particular, check out the proportions and shape of the getter ring. True Telefunken getter rings are more plump than any others I've seen. There is also a pinch in the circular getter wire where it attaches to its "stem" mount. Then there's the "diamond" shape embossed in the glass base, between the pins - that uriahh1 mentioned. Oops - no. Telefunken was outside of the Philips (with one "l") conglomerate. The Philips factory codes would be a sure sign that the tubes are not true Telefunken. That symbol was listed in the Philips factory codes documentation, but I've never seen it implemented for ECC83 or EL84. Once the stipend funds hit my account, I'll activate the automated program to alert me to any new tube-related thread. Until then, you'll have to focus on patiently biding your time by playing guitar. dirge59, Dan40 and Sunnyevan like this. Timbre Wolf, that is the fattest getter in that EL-84 I have ever sen, for sure. thanks for the insights. Sunnyevan and Timbre Wolf like this. The funds have been transferred. Your services are greatly appreciated. Based on the comparison photos, I would say they are the real deal. Now its just a question of whether or not they test strong. The seller says he has a tv7 tube tester. 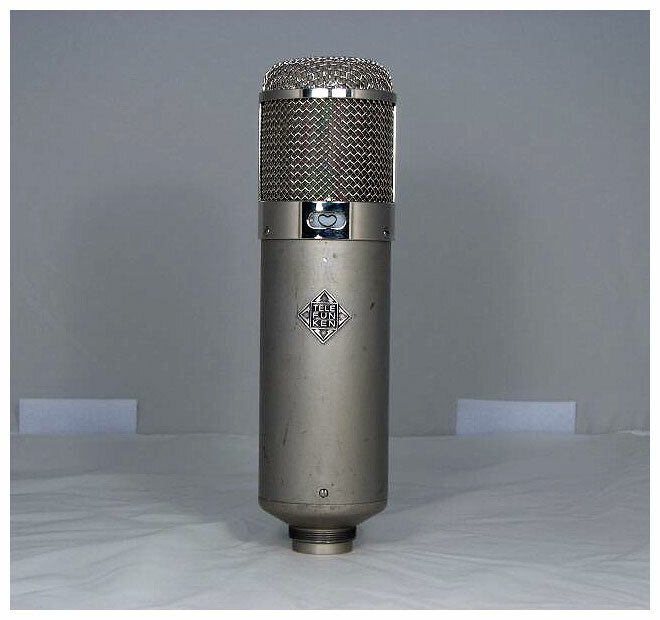 I see at least one genuine Telefunken EL84 there, and several "diamond"-embossed glass bases. Looks like the real deal! FWIW - that "Valvo" is not from the Philips Valvo factory in Hamburg, but rather is from the Philips Heerlen factory in the Netherlands. Well hes got like 10 more El84s, and like 20 12ax7s. . So I would assume the rest would all be real as well. Could very well be! I don't see anything to trigger suspicions. I'm assuming a big box full of lose tubes suggests these are used i.e. "pulls". While they may be great tubes (organs, for example, often came with these and were pretty under stressed most of the time) they could also not be great. I'm not sure that a TV7 would be adequate for testing how they'll perform in a guitar amp (microphonics, gain, noise etc). Can you return some or all if they turn out to have an excessive failure rate? $40 is a REALLY good price for a nearly new Tele 12AX7 or EL84, not such a great price for a box where 50% of them aren't going to be usable. Timbre Wolf, there are those who'd argue that Telefunkens are two clean and bright to make great guitar amp 12AX7s. I've not noticed that, but how do you feel about how they sound? And why is there a Philips code for Telefunken since they aren't really connected? I should probably tell you now that any Telefunken U47s you come across need to be returned to Dweezil Zappa, as soon as possible. Timbre Wolf, there are those who'd argue that Telefunkens are two clean and bright to make great guitar amp 12AX7s. I've not noticed that, but how do you feel about how they sound? Well, those particular samples don't look too clean to me! I actually don't find Telefunken smooth-plate ECC83 to be as clean as many other 12AX7 types I prefer to them. In my experience, the ribbed-plate Telefunkens sound more clean to me. But they're different in how they carry through various frequency ranges. And some samples are more clean or clear than others - I've found medical gear screened smooth-plates that are superior to the garden variety audio tubes. Here's the thing about smooth-plate Telefunken ECC83 - they accentuate a particular upper-mid band that no other 12AX7 type does in quite the same way. If that upper-mid range suits your system, then there's nothing like the smooth-plate T-funk. I prefer the ribbed-plate versions because they don't over-accentuate that upper mid band, and they extend treble response, compared to the smooth-plate. Some folks don't like that extended treble range, and prefer the rounded-off treble (with accentuated upper-mids) of the smooth-plate. Not my thing, but opinions & tastes vary. The too clean critique might also be related to a dynamic response I've noticed. Sometimes I've felt that the smooth-plate Telefunken ECC83 (and some Siemens tubes, as well as Japanese Toshiba and Yugoslavian Ei) don't flow well. It is a feel thing, to me. I talked him down to $20. Might get him down to $15 because it's a local sale and there's no buyer protection. But at $20 a tube, that's basically new production price. Even cheaper then some new production.